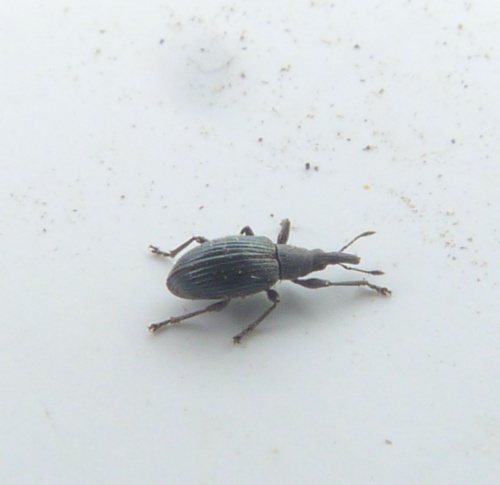 A small dark grey weevil. Mainly found in grassland where it is usually found on Thistles, but not restricted to them and can be found on other plants. All year round, but most frequently recorded in summer. Widespread in England and Wales, less well recorded in Scotland. Fairly frequent in Leicestershire and Rutland. There were approximately 26 VC55 records for this species up to March 2015.